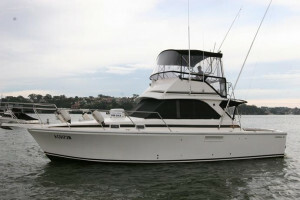 Caribbean 35 powered by twin 330hp Cummins diesels with 1750 hours. 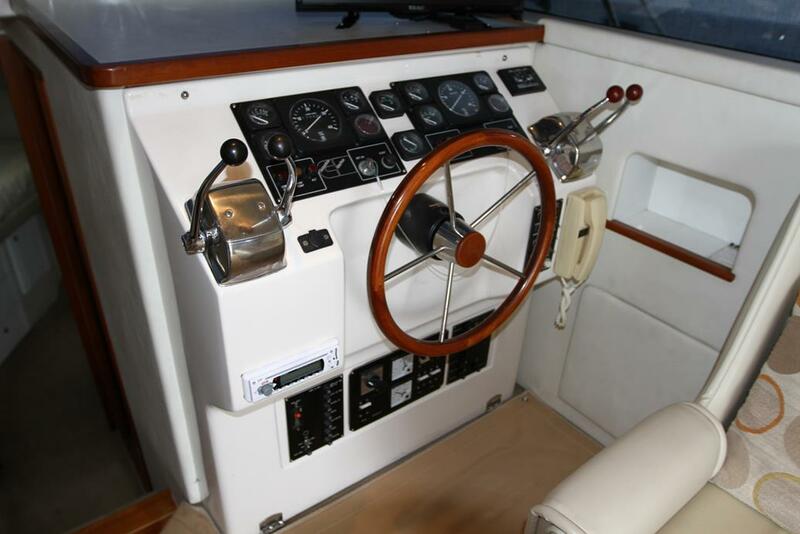 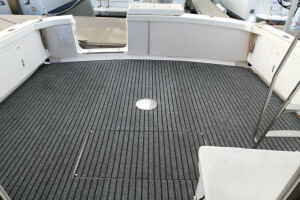 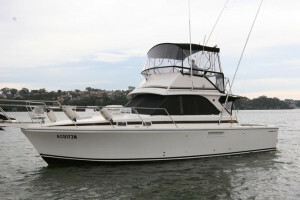 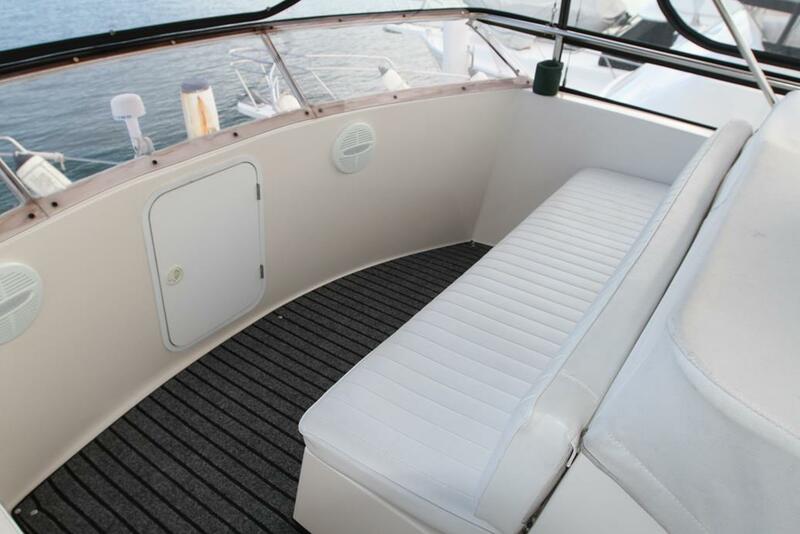 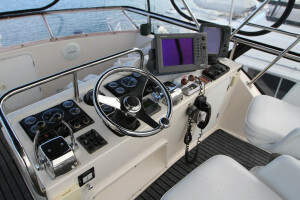 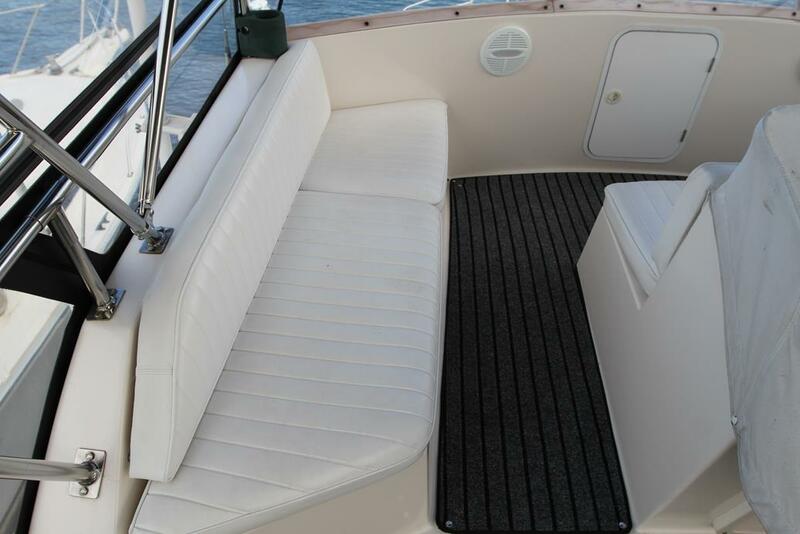 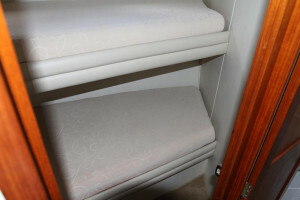 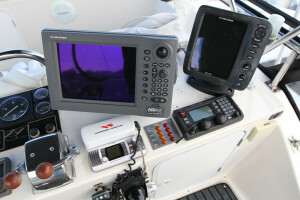 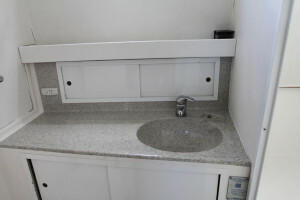 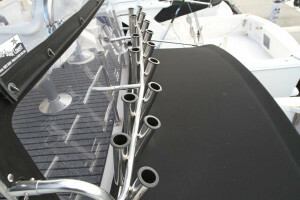 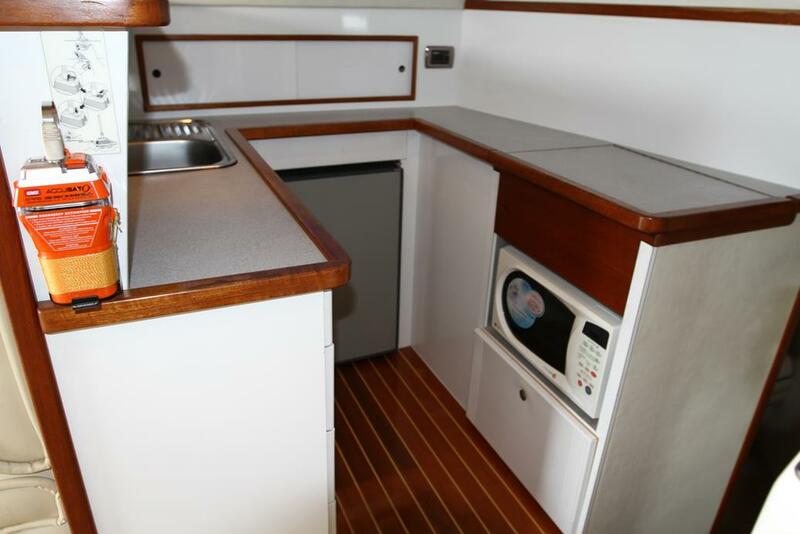 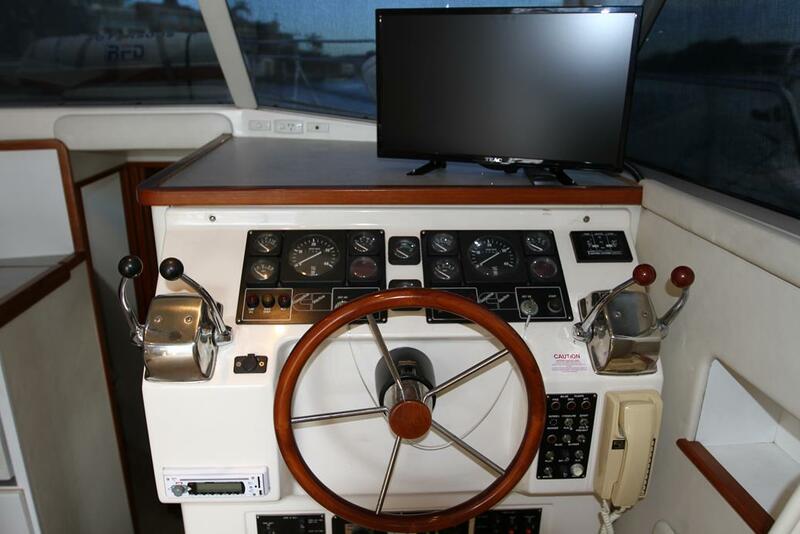 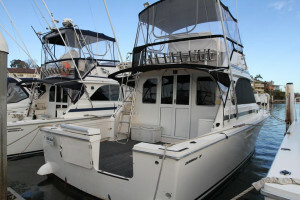 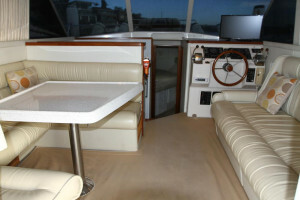 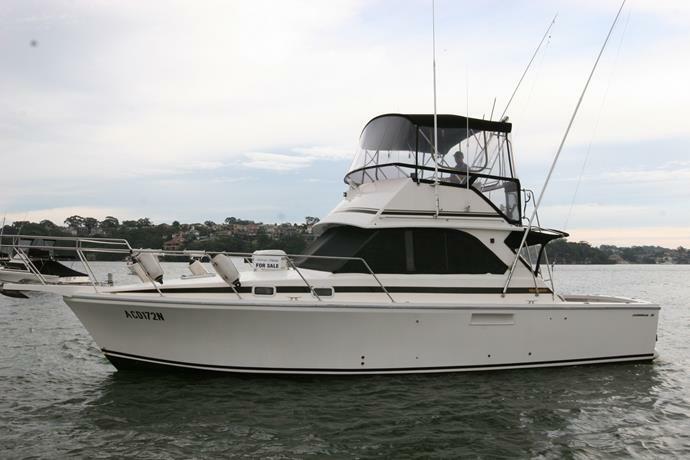 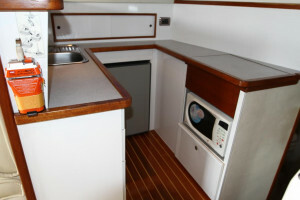 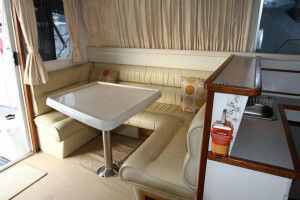 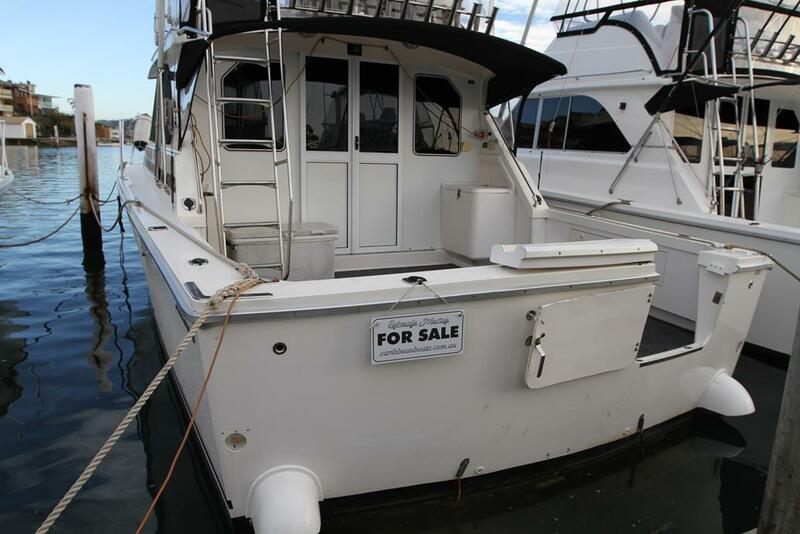 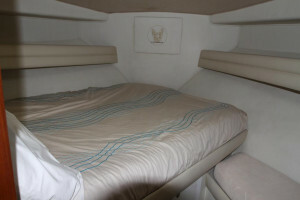 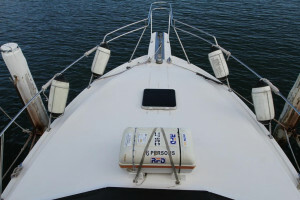 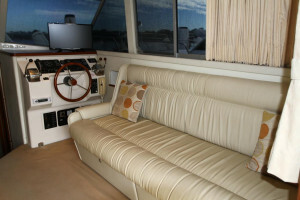 This two owner boat was delivered new in December 1998 and has always been maintained to the highest level. 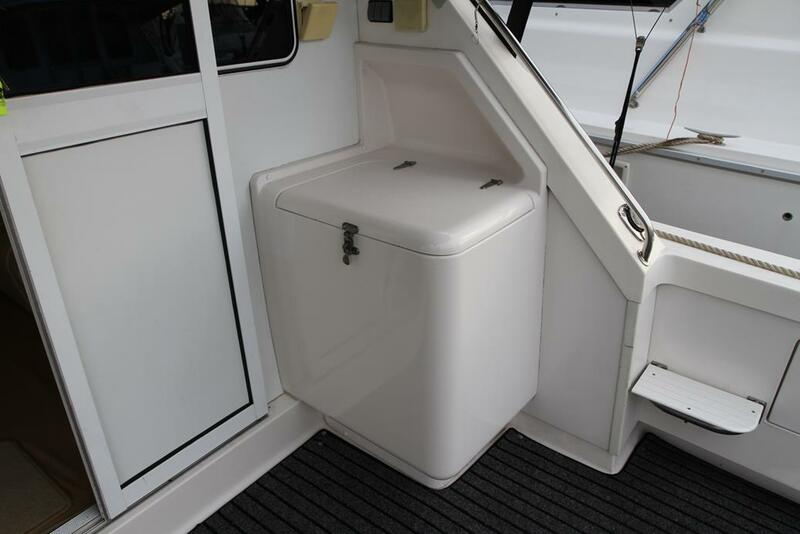 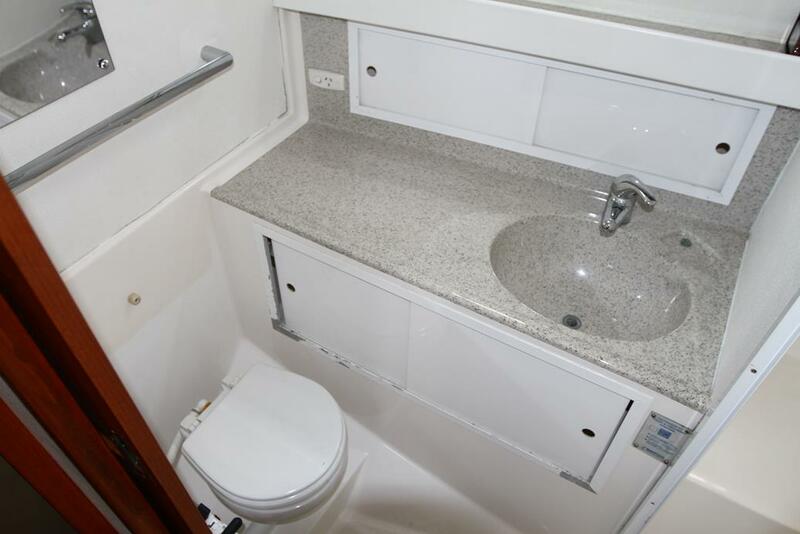 The current owner who has owned the boat for close to 15 years has spared no expense on its upkeep and servicing with full service history available. Some of its huge list of features include, Transom door, Trim tabs with S/S guards, Under water lights, Cockpit carpet, Removable live bait tank, 8 heavy duty rod holders, Cockpit spot lights, Rocket launcher, Out riggers, Windscreen covers, Sun awning with side covers, Removable cockpit sun awning extension, Four sided flybridge clears, Flybridge dash cover, Saloon carpet cover, Lower helm station, TV with DVD, Stereo system, 6.5kva Onan genset, Air conditioning, 6 mam life raft, Four fenders and holders, Furuno 10.4" Nav-Net GPS chart plotter, Furuno 585 colour sounder, Furuno Auto pilot, Icom HF radio, VHF radio and 27mg radio, high water bilge alarm system and loads more. 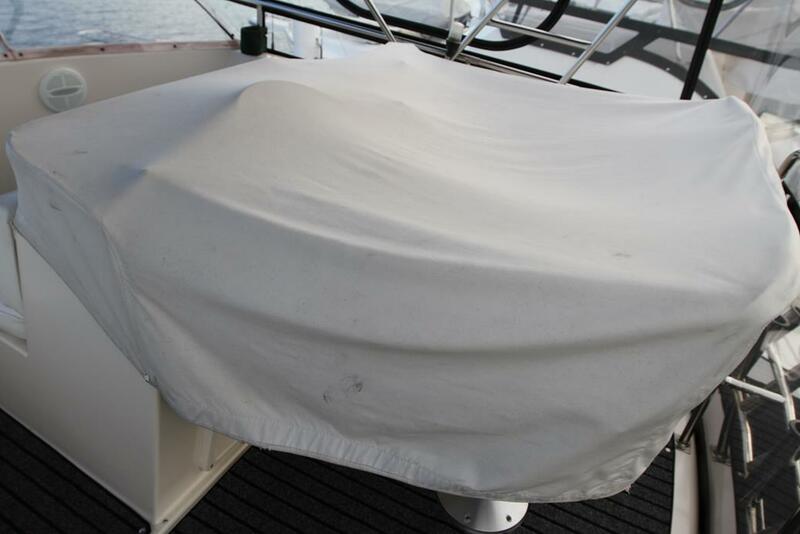 Only having just been recently serviced, antifouled and polished this amazing boat represents a true turnkey boat with no money needing to be spent. 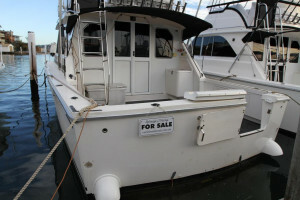 The owner has just taken delivery of his new boat and has priced this accordingly to sell.